Do you have a golf loving man in your life? 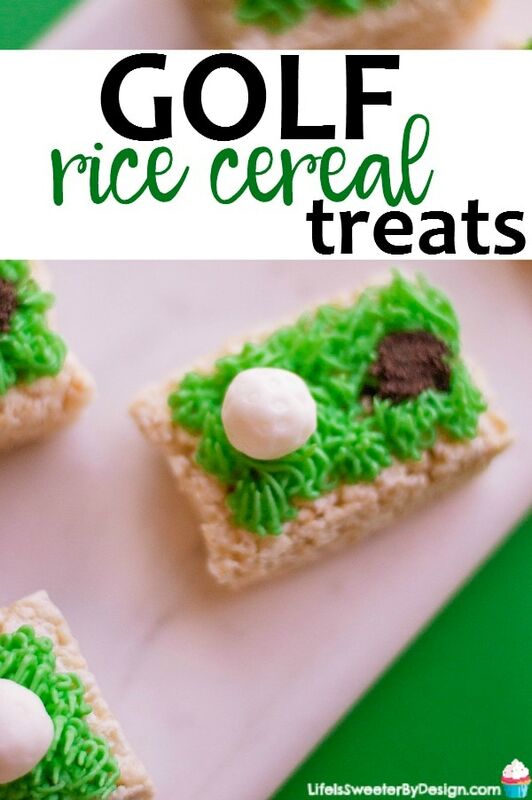 If that man is a dad then I have the cutest golf cereal treats for you to make! 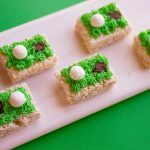 These golf cereal treats for dad will be perfect for Father's Day celebrations of just because he is awesome! I know that my boss loves golf and these treats would also make a great boss's day gift! If you have a child who loves golf…how about a golf themed birthday party? I love that these golf cereal treats start with ready-made rice cereal treats! 🙂 My kids enjoy helping with fun food ideas like this. These would go great with a special handprint craft for dad! 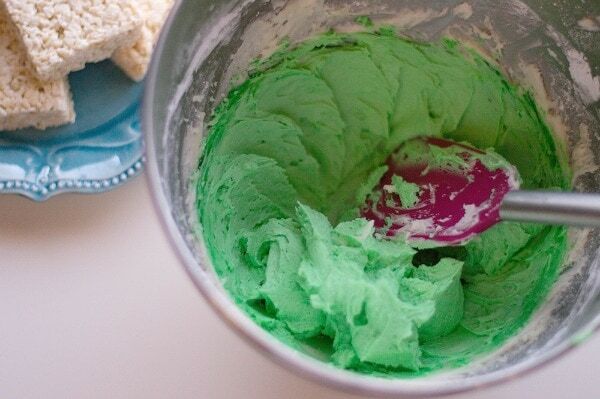 In a stand mixer , combine butter, confectioners’ sugar, green food coloring and milk. Mix on high until your buttercream forms stiff peaks. You may have to add sugar to stiffen it up. In order to loosen it and make it creamier, add more milk ½ tbsp. at a time. With the Wilton Decorating Tip #233 , frost each cereal treat with your green butter cream. 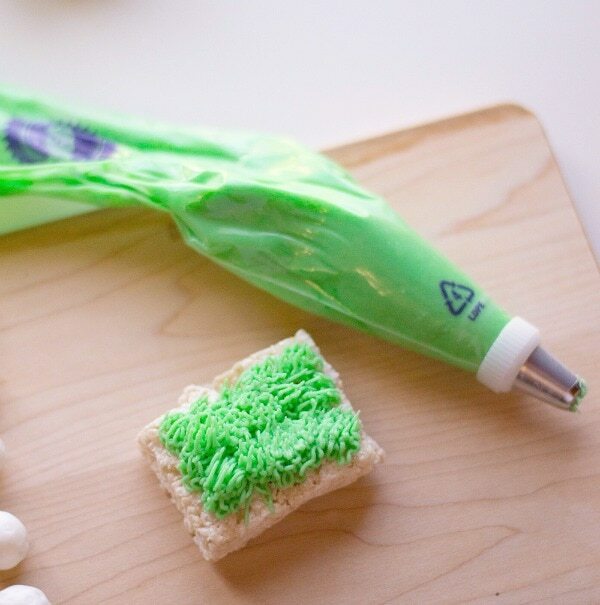 You want this green frosting to look like grass! Sprinkle the Oreo crumbs so that it forms a neat, small circle on one portion of the cereal treat. This circle is the “hole” the golf ball would go in on the golf course. Knead your white fondant so that it’s easy to work with. Roll out 6 small spheres about 1/3 of an inch in diameter. 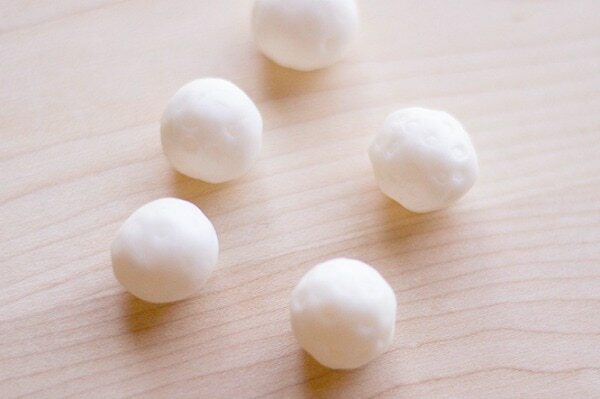 These white fondant “balls” are the golf balls. Using the end of a wooden BBQ skewer , lightly poke the entire surface of each fondant sphere so that it resembles a golf ball. Place on the frosted cereal treat. I tend to see the same old same old when it comes to golf themed gifts. Finding unique and personal gifts is something I work hard on…and if you spend some time researching..you can find really fun golf gifts! Emojis don't have to just be for kids. I think these Oji-Emoji Premium Golf balls are hilarious! These would make a really funny gift for any golfer. A nice golf brush and club groove cleaner set is always a thoughtful gift! One thing that golfers may need is a high quality umbrella like the Lejorain 54 inch large umbrella ! You never know when a stray shower may hit. What Will You Do for the Golfer in Your Life? So what will you be doing for the golfer in your life? Let me know who is getting the adorable golf cereal treats! 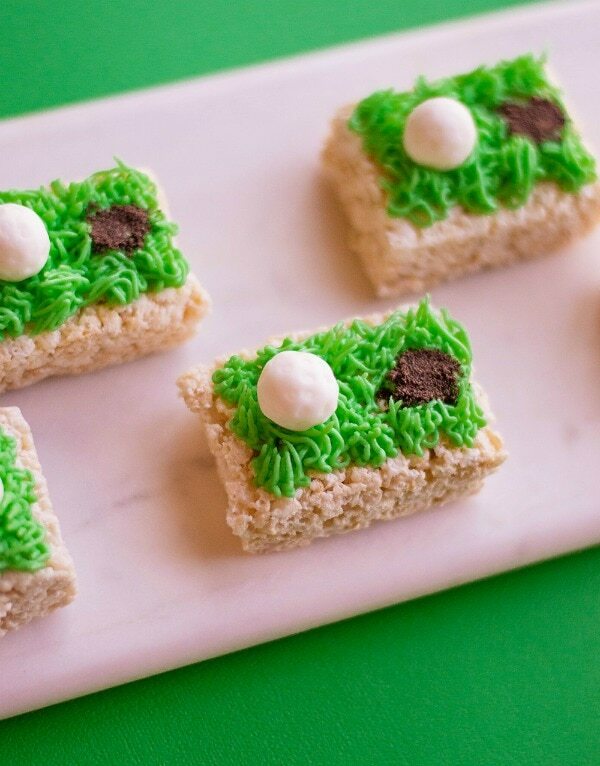 Golf cereal treats are perfect for Father's Day or for anyone who loves to golf! In a stand mixer, combine butter, confectioners’ sugar, and milk. Mix on high until your buttercream forms stiff peaks. You may have to add sugar to stiffen it up. In order to loosen it and make it creamier, add more milk ½ tbsp. at a time. With the Wilton Decorating Tip #233, frost each cereal treat with your green butter cream. 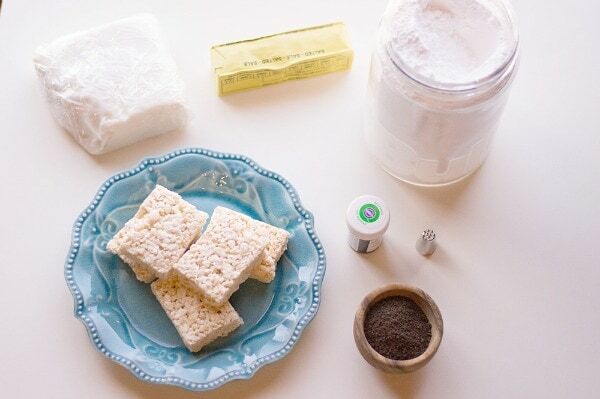 Sprinkle the Oreo crumbs so that it forms a neat, small circle on one portion of the cereal treat. Knead your white fondant so that it’s easy to work with. Roll out 6 small spheres about 1/3 of an inch in diameter. 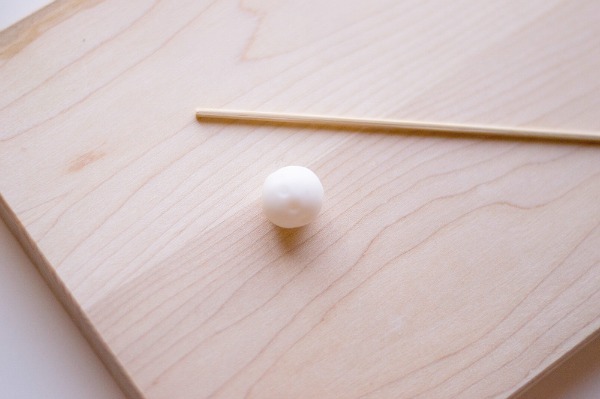 Using the end of a wooden BBQ skewer, lightly poke the entire surface of each fondant sphere so that it resembles a golf ball. Place on the frosted cereal treat. You end up with 6 golf cereal treats!